Bike Tow Brisbane is committed to customer service. Brisbane motorcycle towing has been my passion since 2005, designing my own custom tilt tray and one finger loading system for the largest of motorcycles. Your bike will always be secure and safe in my hands. Always endeavouring to operate at your convenience and available 24/7. Fully insured and licensed for accident recovery, I will place your bike vertically onto my trolley and load it without further damage. 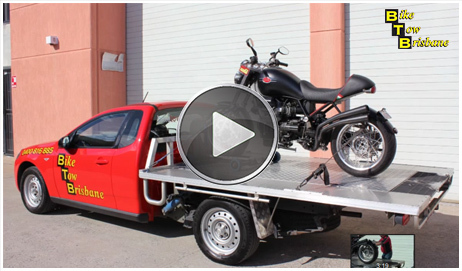 please call Wayne at Bike Tow Brisbane on 0400 816 885.
for all all your motor cycle transport needs.